There is Only God, there is Only Love. Do you remember signing up for this cosmic event? That is what a friend recently asked me, while we were discussing Earth Changes, Global Warming etc. However the call was sounded, the end result is the same….WE’RE HERE! You are perfectly designed to do your job and in the time and space required to do so. Since there are no accidents or coincidences, that puts us all smack in the middle of our path and expectation. Every past life that you ever created is here with you now as you endeavor to serve and progress in your growth to your next incarnation, in whichever or whatever domain you choose. Remember the key to a successful life intrusion is the Art of Unconditional Self Love….boy, some things never change. It’s that easy and you have nothing to loose, but maybe a few centuries of Karmic confusion. So best foot forward, chin(s) up, smile, and give it your all….after all, you promised. 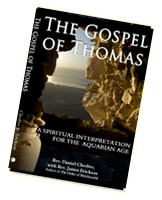 In early 1986, Daniel received guidance saying simply, “It is time to call the Priests.” With that statement and through subsequent dreams, came the knowledge that he is never to ask anyone to become a Priest, nor is he to turn any one away. There is no place for judgment. Each person who is moved to make this step has been prepared through lifetimes and was born already having made the decision to become a Priest. Regarding formal training, it was said, Jesus didn’t tell the disciples to go to four years of seminary. He told them to teach people to love one another. Each person has had experiences in life and education, both formal and informal, which have been a preparation for their personal ministry, and any future studies chosen will be exactly perfect for carrying out their work. In taking this step, a person commits him/herself to teach and to heal. That doesn’t mean to quit a job and get a church. It means to be available to those who come into their lives to teach “love”, to help people draw from the highest, most loving selves when making decisions in their lives. Also, we’re to help others realize they can open themselves up to God’s healing energy which can flow through each one of us. Each Priest is encouraged to go within for guidance for their own work. Each Priest is also encouraged not to compare themselves with others as each one is unique and valuable in his or her own way. 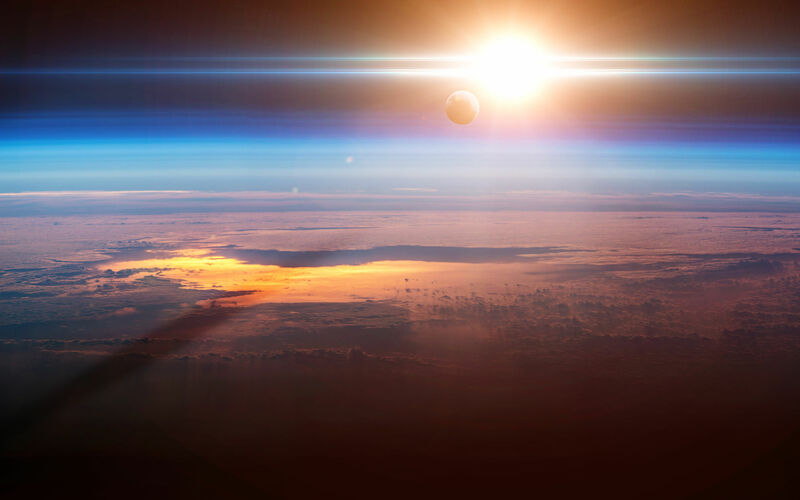 The order is coming into the physical form now because of the Earth transformation that is taking place. It last came into being in preparation for the coming of Christ. 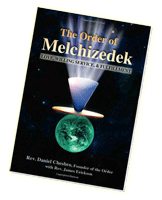 We know from other sources that ours is not the only Melchizedek Order that is emerging. Several groups are simultaneously beginning, totally independent and many times unaware of each others' existence. After receiving guidance regarding the actual ceremony, Dan ordained the first two priests, a man and a women, on Easter Sunday, March 22, 1986. Since then thousands of people, from diverse backgrounds, have chosen this path. They are not required to “give up” anything they believe in or to resign from any other organizations. They are simply given an “energy boost” to enhance the work they are already doing. There is no doctrine they must follow. We do not say that our way is the only way. There are many paths to God, but the basis of all true spiritual work is Love, Unconditional Love, and we all come from that source. We encourage each Priest to ask permission before beginning to teach or to offer healing assistance out of respect for individual FREE WILL. Some have asked if they may help in the performance of ordinations. Through his birth path (8/22/44) and his previous lifetime experiences, Dan has been prepared to be the “transferor” of this energy. He cannot “teach” anyone how to make this transference. He has been told that if and when anyone else is to perform ordinations, he will be advised. Tom Sawyer had a near death experience in 1978 when his pickup truck fell on him, crushing his chest flat. 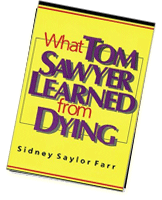 He was clinically dead for fifteen minutes, yet he came back to tell of his strange experience of going through a tunnel, meeting the "Light that was God," and being sent back to tell people about God’s unconditional love for everyone, as well as information on coming earth changes, healing, reincarnation, politics, pollution, and world peace,and to teach people how to communicate with God through prayer. DONATIONS The Sanctuary of the Beloved is operated on a free-will donation basis only. We appreciate your generous help as we continue to teach and ordain priests.You may mail donations to:Sanctuary of the Beloved, 5584 South Livonia Road, Conesus, New York 14435 Or Donate Online!